Would an accountant worth his salt advocate that the best way to keep a business running is to spend money which you do not have, and when the time comes to balance your books, you simply look the other way? This is the approach adopted by socialist leader of Venezuela, Nicolas Maduro, throughout his tenure and in which he persists with the announcement of a forty percent increase in the country’s minimum wage as of January. Venezuelans will now receive around 797,510 bolivars (the currency of Venezuela) per month. This equates to $7 on the black market index – only socialism can produce a black market where currency has more weight than a currency supposedly backed by all those oil reserves. As of May 2016, the LA Times reported that it cost $150 to buy a dozen eggs in Venezuela. From January 2016 to November, prices went up 1,369 percent. One can only wonder what just one egg would ‘officially’ cost right now. I say ‘officially’ because the Venezuelan government no longer publishes inflation data on a regular basis. Which tactics does a socialist dictator adopt when his country steadily collapses as a result of his philosophy? As has been the case in every other socialist utopia, in every other social experiment based on the ‘good of the people’ and a ‘mixed economy’ of socialism and capitalism, the cruel economic condition and consequent suffering of the Venezuelan people has been blamed on outside forces. Socialism demands that everyone be made equal in wealth through the force of government. Whereas moral equality means that everyone is equal before the law and free to trade and compete with one another, using their minds freely, socialism aims to end this because no one may rise higher than the state deems appropriate. Perhaps Maduro truly does not believe he is to blame; if a few people have to starve to ensure the glorious march of socialism and a utopia of socialist equality, then so be it. 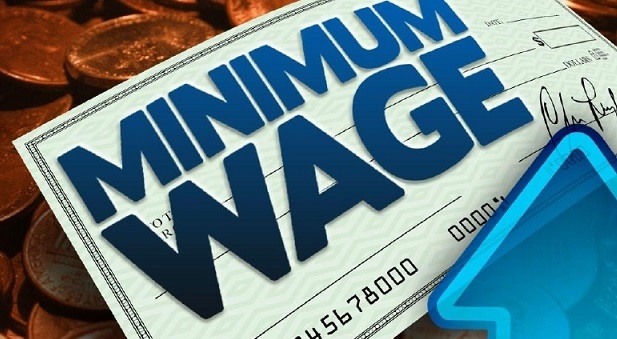 On the most basic level, when any minimum wage is enacted, businesses must adjust their operations and respond to the effect on their bottom lines. That prescribed amount that government orders them to pay their employees has to come out of another area of the business. This means that the business may pivot away from employing more people; it will have less to spend on marketing; it will have to scale back on its growth projection; and so on and so forth. This is the basic economic impact of the minimum wage. But there is another level of impact, that we tend to ignore – the philosophical. No one, including government, has the necessary knowledge to improve on the outcomes of voluntary agreements entered into between employers and employees. Government interference in such agreements cannot fail to have negative consequences for employees, employers (especially small employers), those looking for employment, and consequently, for the economy. The minimum wage is a blatant example of government interference in the market, and, when a government interferes in any way, we are no longer dealing with reality, but an artificial, manufactured representation of reality. The only truly moral way for people to trade with one another is when they can do so free from outside interference and rely on their own judgment. A moral trade necessitates the vital ingredient of voluntary exchange, even when an employer and employee negotiate a contract. Philosophically, raising the minimum wage is no different to massaging employment numbers, or cutting taxes yet not cutting spending – these are the dishonest ways government employs to tell a better story about what it does, but it is a story that does not match up to the facts of reality. Socialism is an attempt to cheat reality. Those who advocate for it want superficial equality of wealth without regard for what that means in practice. Imposing a minimum wage, and then repeatedly raising it, is an attempt to place a fake price on someone’s labour which does not match up to the value that an employer would place on it. The negotiation of a wage between an employer and employee is one of the most important aspects of the economy which ought to be left free from government’s misguided ambitions. Any minimum wage distorts the price of labour and, through the ripple effect, the whole economy. The minimum wage favours automation; by replacing low-skilled workers with machines, businesses no longer need to worry about the destabilising effects of more impending labour legislation – more legislation always follows because the socialist project never quite attains its desired outcome. Maduro, and any other politician elsewhere, can increase the minimum wage to their heart’s content, but millions of Venezuelans will still not be able to afford three meals a day because the socialism of Maduro has destroyed any value that his country’s currency and economy once had. Raising the minimum wage does not increase purchasing power. Inflation cannot be simply swept under the rug. The effect socialist policies have on people’s lives is real, lasting, and devastating. Author Chris Hattingh is a researcher at the Free Market Foundation. This article may be republished without prior consent but with acknowledgement to the author. The views expressed in the article are the author’s and are not necessarily shared by the members of the Free Market Foundation. 17 Jan 2018, 16:42 Rory Short Unadulterated madness. Employers buy employees time and skills. At best a government might recommend a minimum hourly rate payable to unskilled employees NOT a wage and it should stop at that.